3 apples, cored and sliced (prepare your apple on Days 1, 3, and 5. Preheat oven to 300 degrees F. Spread nut out in a single layer on a baking sheet and toast until fragrant and starting to darken in color, 20-30 minutes. Nuts should be golden in the center when sliced in half. Let cool slightly. Rub hazelnuts together to remove their skins. Discard skins and let cool completely. Transfer to a food processor and blend on high until completely broken down, 1-2 minutes. Keep processing, scraping down the sides of the bowl as needed, until the nuts start to release their oils. This may take several minutes. Once you have a creamy consistency, add cinnamon and honey and process until combined. 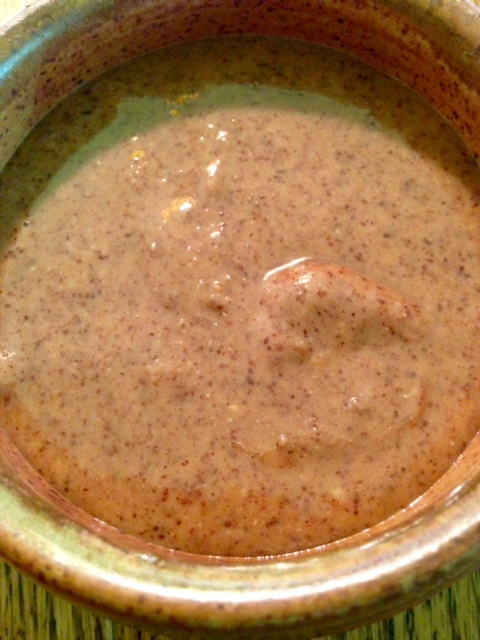 To serve, enjoy 2 tablespoons hazelnut butter with ½ apple, sliced.